Intech Rehabilitation Center & Nursing Home in cooperation with Swedish Healthcare arranged a training course on October 25-28th about Swedish Elderly Care & Rehabilitation. 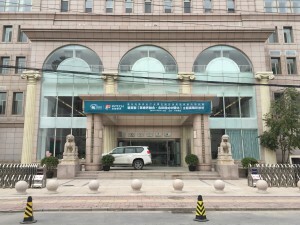 The training course spanned 3,5 days and took place at Intech’s facilities in Beijing in China. 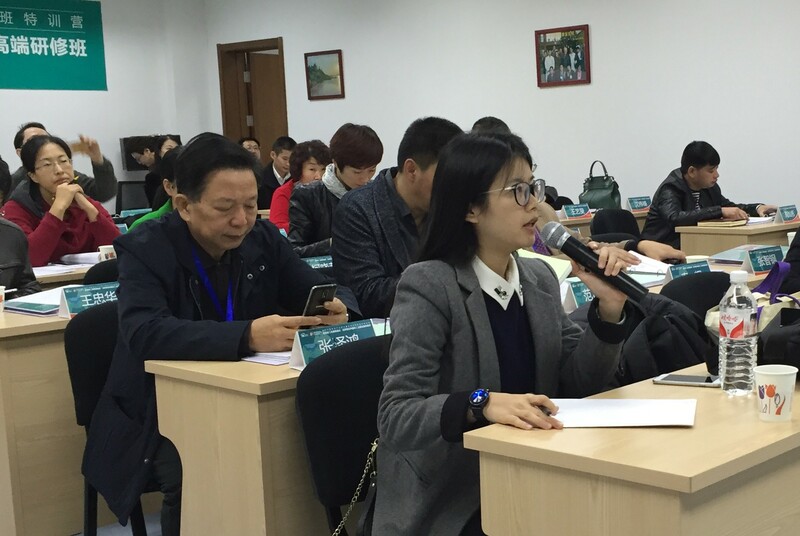 Course participants were around 40 Chinese Managers of rehab centers and nursing homes from different regions in China. One of the main lecturers during the training course was Swedish HealthCare expert, PhD Dr. Jenny Hjalmarsson from the Royal Institute of Technology in Stockholm. 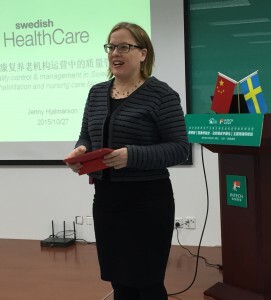 She presented the Swedish Model for Elderly care and also covered topics such as the Swedish healthcare and welfare system, quality systems in nursing homes, rehabilitation and ergonomics. 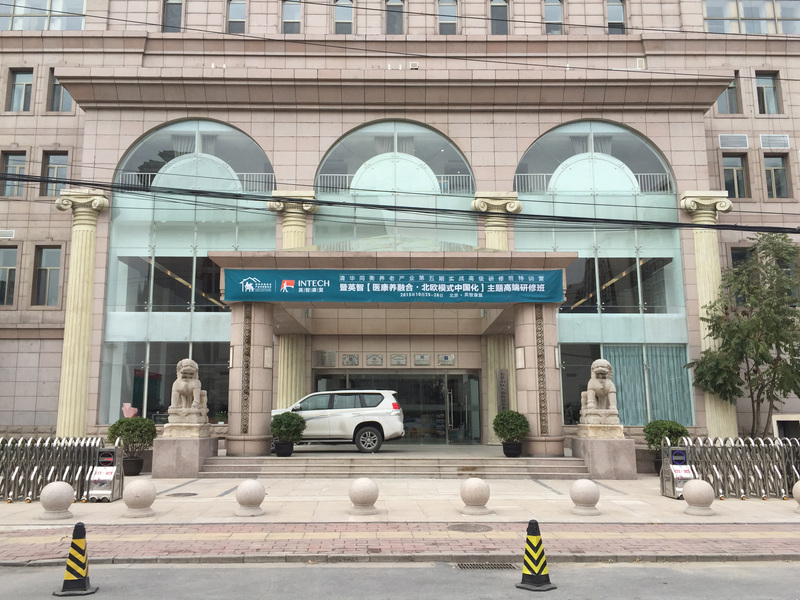 Intech is looking to set up a show room in Beijing to showcase Assistive Technology products from Scandinavia to the Chinese market. Many Scandinavian companies have extensive experience in the Assistive Technology sector and also sell many useful products. There is an increasing demand for assistive technology products in China and Intech hopes to widen the supply with more Scandinavian products. Plans for future collaboration between Intech and Swedish HealthCare include an online learning platform for nursing home staff. 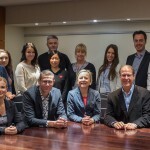 Online learning enables staff to be trained locally and efficiently with Swedish know-how and expertise. 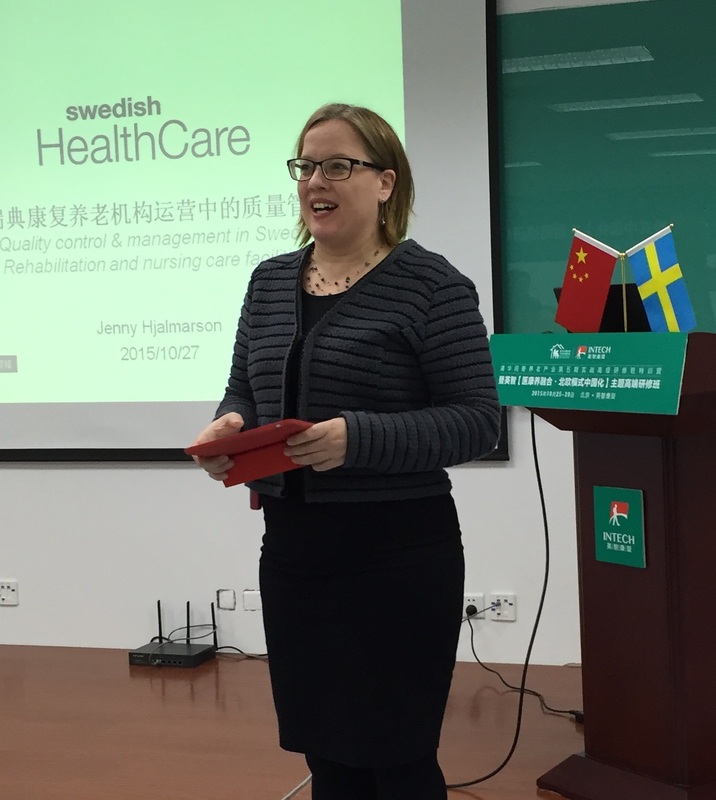 Swedish HealthCare is planning for online training programs in nursing care and rehabilitation for the Chinese market.